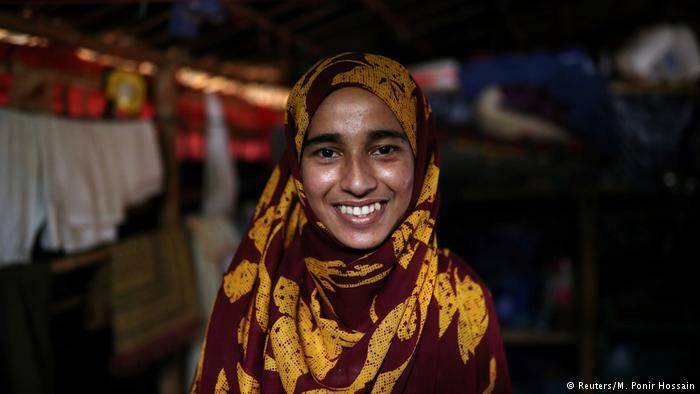 “It only hurts a little,” said the 15-year-old, as hair buyer Zin Mar handed over the equivalent of $13 for the 20 inches (51 cm) of hair she sheared off, roughly the minimum weekly wage in Myanmar. “It was time to pay the rent,” she said. 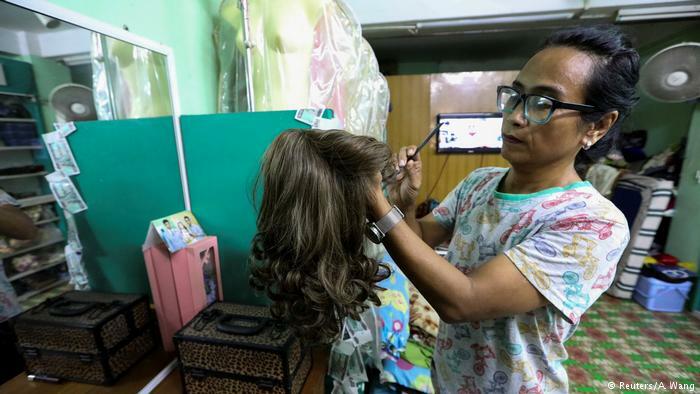 On the other side of the world, the hair, processed and repackaged as “raw Burmese hair”, will sell for hundreds of dollars to consumers clamouring for wigs and extensions made from the sought-after material. Long hair is esteemed as a mark of beauty and has deep religious meaning in Buddhist-majority Myanmar, where monks and nuns shave their heads as a sign of humility. “People from all over the world want hair from our country, because when you shampoo and condition it, it shines with the colour of pearls,” said Win Ko, a 23-year-old who buys hair from individuals and small suppliers such as those at the market. Makeup artist Lynn Lynn cleans her wig collection in her studio in Yangon, Myanmar September 24, 2018. Although the trade in human hair dates back centuries, only in the last decade or so, as Myanmar has opened up to the outside world, have its people begun to grasp the economic opportunity. The country formerly known as Burma now sits at the heart of a multi-million dollar industry. Since 2010, it has quadrupled the volume of hair it ships each year to become the world’s fourth largest exporter, the United Nations says. In 2017 alone, Myanmar earned $6.2 million from the export of hair equivalent to the weight of 1,160 average-size cars. The trade has drawn in thousands who source, process, andexport hair, whether from desperate people like Za Za Lin or bought by the kilo in the form of dusty hairballs. The hair processed for export are seen at Tet Nay Lin Trading Co. in Yangon, Myanmar, June 19, 2018. 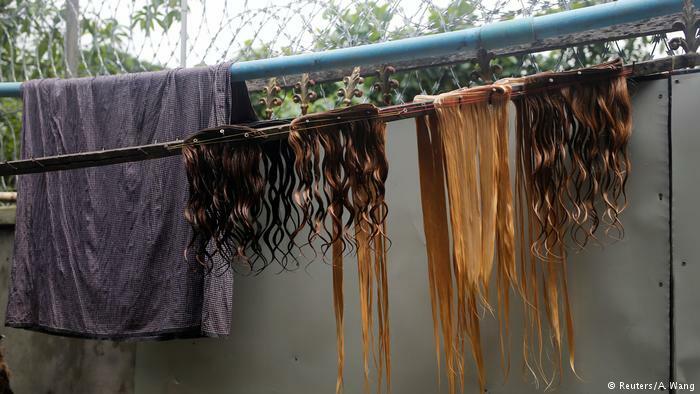 Firm numbers are hard to come by in the largely unregulated industry, but Min Zaw Oo of Tet Nay Lin, a hair trading business started in the mid-2000s, says he sells mostly to black women in Britain, Nigeria, South Africa, and the United States. 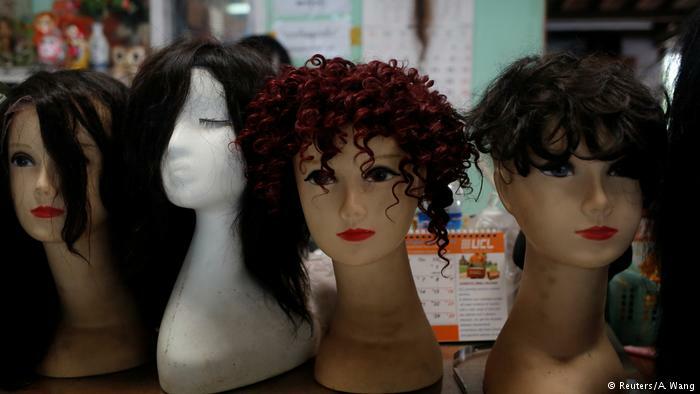 A recent YouTube search for “Burmese hair” returned thousands of videos of women reviewing wigs and extensions. “It’s not as silky as Indian hair, and it’s not as coarse as Brazilian hair. 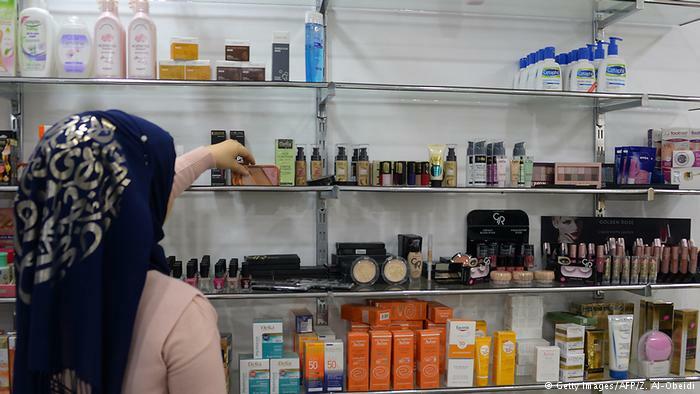 But it’s a little bit in the middle,” said a beauty blogger, ‘MakeupD0ll’, who boasts more than 600,000 followers and earns up to $900 from some of the wigs she makes. But the demand for Burmese hair is outpacing supply as modern fashion trends make it harder to source long, straight and chemically unaltered product, said two vendors huddled around market stalls in Yangon’s Insein district. “Hair is coloured, permed, and short now,” said Hmwe Hmwe, 44, who has spent 13 years in the business. 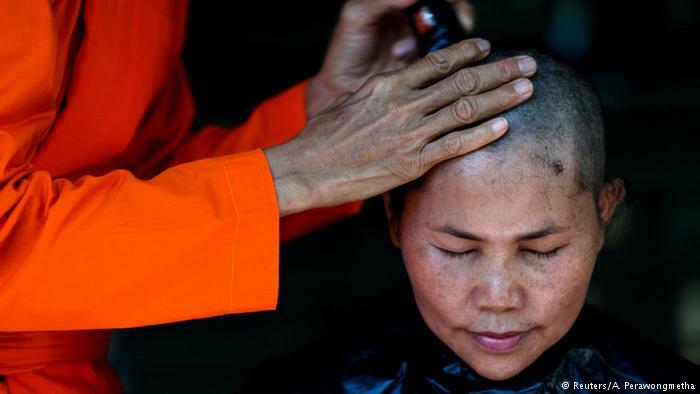 Vendors say April, the time of the Myanmar new year, is their best month, when many women preparing to become nuns sell their hair before it gets ritually shaved. 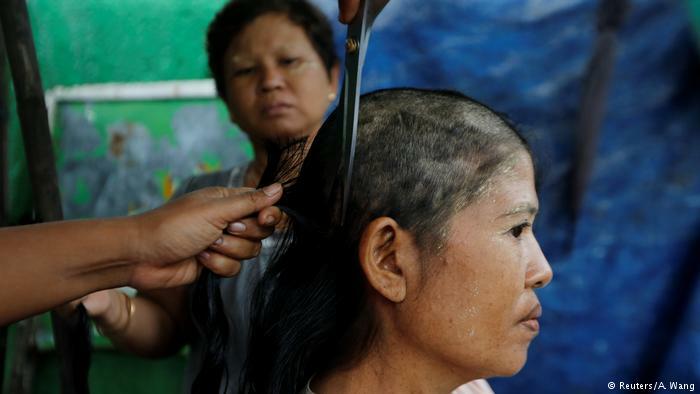 Much of the hair exported from Myanmar is not freshly cut, but swept up from waste instead. One business owner, who goes by the name ‘Auntie Cho’, said she bought “hair from the comb”, which has fallen out naturally. She pays about 55 cents per ounce of hair, stuffed into plastic bags for family and neighbours to untangle and comb into bundles she sells to middlemen. Among them is Win Ko, who loads the hair on a truck for a drive of several hours to Myanmar’s border town of Muse, where about a dozen Chinese traders wait. “You just pick and choose one you like and he arranges for you to sell to Chinese buyers,” said Win Ko. Sensing Za Za Lin’s sadness at losing her hair, the buyer, Zin Mar, the owner of Thiha Hair Purchasing and Sales, offered sympathy. “It’s like getting paid to get a haircut,” she said.